BMLL provides a platform where research scientists can immediately lever their statistical skills to quickly and efficiently investigate the problems their organization faces. Specializing in the limit order book data set, BMLL hosts historical data for all global liquid electronically traded securities. The limit order book data is processed to a common format and held on a securely accessible leading cloud platform. Financial markets are complex. Over 150 different trading venues, over 10,000 liquid tickers. Different exchange feeds different protocols, different data structures, different trading rules. All changing over time. Reference data, derived data, missing data, dirty data, poor documentation. Latencies, bandwidths, conflation rates, jitter. The technical complexity of working with petabytes, the constantly changing suite of ‘big-data’ tools, the rate of evolution of the cloud and the data science arms race that the financial services industry is now engaged in. For companies and their researchers, this is a lot to take in and manage before they can assert their true value-add – generating insights from the data. The product is a RESTful API within a web portal. BMLL exposes the API through the Jupyter IDE. The primary computational kernel for Jupyter is Python, followed by MATLAB and R. The API has three core components; data, hardware and analytics. The data API acts on data objects including limit order book data, reference data, unstructured data and metadata. The hardware API allows the user to perform calculations both in a local environment and in a distributed environment. The analytics API allows the user to apply code to the data in a pre-defined hardware environment. This includes order-book specific libraries that BMLL researchers have built to address pressing problems in the space, proprietary libraries written by the user, libraries written by third parties such as ISVs and open-source libraries. The USP of BMLL is the tight integration of these three APIs. In summary we offer a research platform dedicated to the complexities of working with this data in order to enable users to focus on addressing the problems of interest to the end user – not the plumbing problems associated with provisioning the data science environment. Global historical limit order book data on a per ticker, per trading day basis, with hourly access charges. World leading Bayesian learning and inference framework including pre-configured algorithms for common limit order book problems. Unlimited processing power through the AWS cloud with up to 80% reduction over usual cloud costs. Rebuilt historical full depth data for all global liquid financial securities including cash equities, futures, options, spot FX, treasuries, ADRs, bonds, ETFs. Order by order data including dark trades, trade-order matching, market states, implied orders, member identifiers, trade types and aggressor side. Reference data mapped to the exchange data. For example identifiers, tick sizes, corporate actions and position limits. API fed unstructured data such as machine readable news. Exploit the most powerful analytical services the cloud offers – including Apache Spark and Hadoop. Multi-petabyte dataset exists co-located with compute instances, minimizing data transfer. Jupyter on thin front-end containers can launch Spark clusters of thousands of CPU/GPU nodes, in a few lines of code. CPU nodes have 128 cores, 1,952GB RAM on 20GB network. Abstract the complexity of the AWS offering from the user. The platform enables users to easily distribute machine learning algorithms out over clusters. Clusters provisioned with distributed libraries such as Google TensorFlow, Apache GraphX/MLlib, Amazon MXNet. BMLL provides APIs between libraries and datasets, allowing users to quickly and efficiently address problems. Patented approach to large scale probabilistic graphical inference in a distributed setting. BMLL offers a suite of toolboxes which address common limit order book problems. Code implementations of leading limit order book papers. H Christensen, R Turner, S Hill, S Godsill. “Rebuilding the Limit Order Book: Sequential Bayesian Inference on Hidden States”. Quantitative Finance 13 (11), 1779-1799 (2013). H Christensen, R Woodmansey. “Prediction of Hidden Liquidity in the Limit Order Book of GLOBEX futures”. J of Trading 8 (3), 68-95 (2013). L Fabrizio, D Farmer, R Mantegna. "Econophysics: Master curve for price-impact function." Nature 421.6919 (2003): 129-130. World class electronic and physical security through following AWS best practices coupled with independent third party auditor. Users authenticate through multifactor procedure including a MFA token. Each customer organization gets their own AWS account which only their members have access to. Packets between the host and AWS are SSL encrypted to the latest banking standards. Users able to work on problem of interest instantly using the platform. No more time spent procuring data and hardware. Significant economies of time due to ready formatting and parsing data. Pre-built solutions to most common limit order book problems. Immediate UK email and phone support. Extensive documentation through a secured confluence area. On-demand access to limit order book data for individual securities. 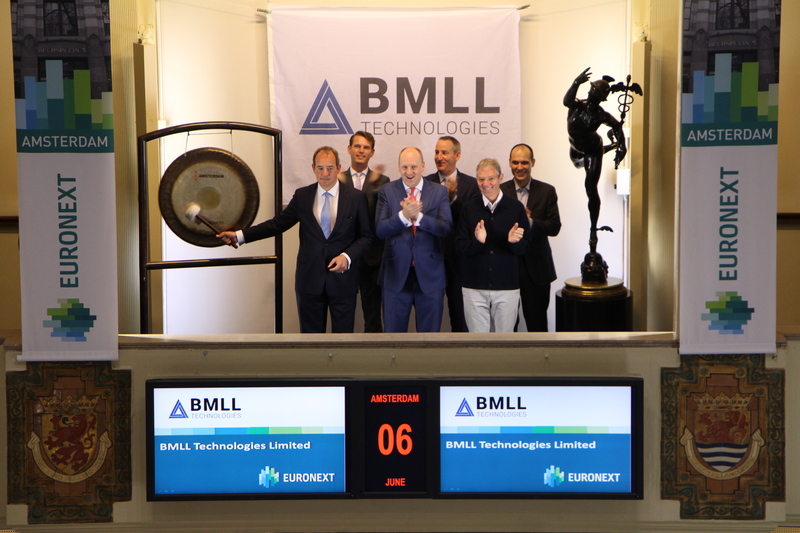 BMLL bulk purchases CPU using sophisticated spot market bidding algorithms resulting in 80% cost reduction. Single point of billing through BMLL for all data, hardware and software. Users do not pay for limit order book data storage. Enterprise and metered billing models available. The internship programme at BMLL runs four times a year over a three-month period. The programme brings together people with a passion for data, often working in their first collaborative industrial science environment. Through daily scrums the internship team works, guided by senior technical members of the company and supported by a project manager, on a variety of challenging algorithmic problems. Our aim is to build a community of scientists and help foster the next generation of leading talent. Research at BMLL means being able to apply the latest advances in machine learning, statistics and data analytics to one of the largest and most complex datasets available. Our researchers come from academia and industry. From signal processing to image recognition, from machine intelligence to natural language processing. Experience working with web-scale datasets is desirable. A passion to understand data is essential. Software developers at BMLL include recent graduates and experienced professionals. We are looking for expertise in areas such as Python, cloud computing platforms such as Amazon Web Services, front-end development, container platforms such as Docker, and distributed computing. Sales at BMLL is about building relationships with leading institutions working in the financial services, including investment banks, hedge funds, financial regulators and government agencies. These relationships enable customers to access and analyse the highest quality financial dataset in the world. Operations at BMLL is the lifeblood of the company. Operations staff maintain business relationships with data owners, cloud platforms and customers. They enable efficient and timely accounting and facilitate the essential daily mechanics of the company. We are doing something that no other company in the world is doing or is able to do. By leveraging the power of the cloud we are able to do amazing things with only a few people. BMLL is a world leader in the application of cutting edge statistical techniques to data.